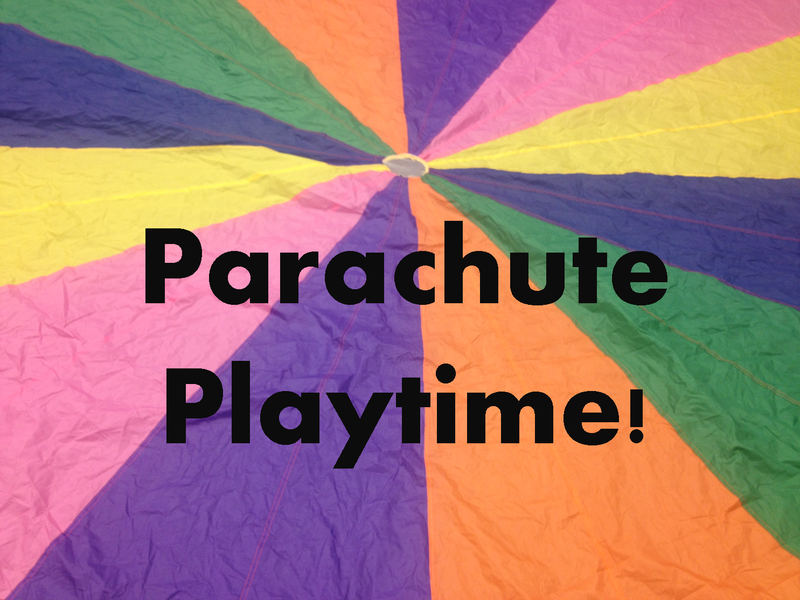 Begin with children sitting ON the parachute and explain the rules and how we use it. I did have the parents hold up the chute, but not til the end. Then we gathered it together. It was a good way to end it. Popcorn calling me-This was the song I was most excited for. 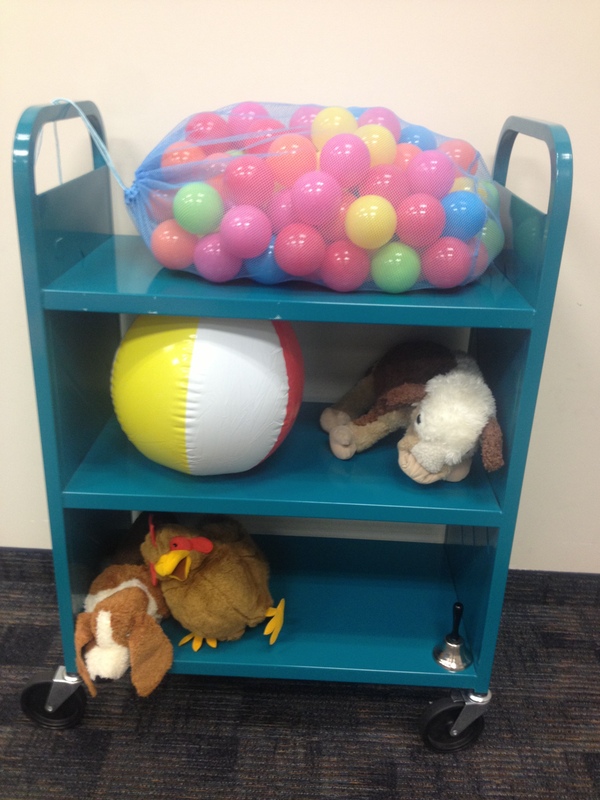 We used those small play balls as popcorn. They were supposed to sizzle then pop. That didn’t quite work how it was supposed to. They just popped the balls like crazy, but that’s ok! They had fun! I skipped Jim Gill’s My ups and downs. They were so crazy at this point I didn’t want to explain anything else. The last song, I hear the water is SO GREAT. It’s clam and soothing. 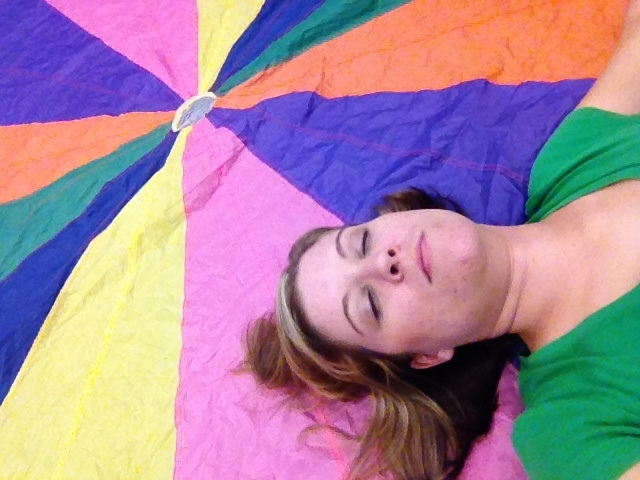 We left the chute on the ground and slid it side to side to make it sound like water. Then we tapped it with our fingers to make it sound like rain. It was a nice closing song for sure. I really wish I could do the program for 2-3 year olds and a separate one form 4-5 year olds, but with our big families that come with multiple kids, I just don’t see that happening. So for now, I’m just going to leave the ages as they are. I can’t wait to do it again! I definitely want to do it around Christmas time with some holiday songs.